O – Orange you glad you blog? I am!!!! Orange you glad it’s not banana? I haven’t been blogging for long, only several months. I started blogging in response to all the recommendations I had received regarding developing my ‘author platform’. Every time I hear that term, I imagine building a raised deck out in my backyard, somewhere to worship to the literary success gods. I know that isn’t what they are really talking about, but I like the idea of a raised platform, a kind of a look-out tower for potential book buyers. Maybe when I see a book-buyer, while up in my platform, I could pop them with a tranquilizer gun, hack their Amazon account on their phone (which invariably will be on their person somewhere), and order a book for them – that’s one way of doing a platform. When I began blogging, it was really, really nerve-wracking. Instantly publishing my blatherings to the internet, for anyone to look at and read, made me so nervous. At first, writing a post once a week, seemed like such a major undertaking, coming up with something pithy. The comments I received were encouraging, thoughtful and supportive and I pressed on. I went on Twitter and started an account as well, but honestly I don’t really get Twitter. A majority of the things twitted or tweeted seem like half-thoughts, I don’t understand them. It’s almost like coming into a disjointed conversation half-way through. ‘What does it all mean?’ I say to myself. I still don’t have an answer. The blogging thing though, makes total sense to me. I post stuff, if people like it, they ‘Like’ it. If they have something even cleverer to say, which they usually do, they leave a comment. How cool is that? Then a really interesting started to happen. I was happy to see comments from people. Their comments made me chuckle, they added something to my little post and I became enchanted with the Blogging Universe. It’s a huge universe with unbelievably interesting people from all over the world. I have become involved in commenting marathons, which have veered off onto tangents which have absolutely nothing to do with the original post. I have looked at photos of gardens from around the world, listened and commiserated with people telling of their bad days. I have read tips on writing, on self-publishing and all aspects of being an author. I have enjoyed posts on opinions, lists, memories and brilliant poetry. I have admired adorable pet photos and read the incredible things bloggers’ children are doing and saying. I know there is so much more out there to learn, to read, to enjoy and admire. Now, I am doing the A to Z Challenge, and I haven’t missed a letter yet. I am on the downhill slope, tomorrow is ‘P’. The posts are getting a little harder to come up with, but doing this seems to have been an exercise in expanding the creative process. My husband says ‘Orange you glad’ is stretching a bit, but I think it is funny and silly and kind of stupid, and it cracks me up!!!! You are probably thinking – it’s funny if you’re a five-year old. Thanks to Wikipedia for the photo. Me too!!!. I was actually thinking about that super long conversation we had that went from the Easter Bunny to Peeps in the microwave to Gummy Bears in Vodka to irrational drunk people and farty Walmart. Haha! That was a good one. I actually like the old ‘groaners’ though it may be a little early in the day for them. Humour is a great way to break down the barriers and get yourself a following. I’ve no idea how long I’ve been blogging now but I stick to mainly once a week unless I’m doing author interviews or something, and I get away with all the waffle about my week late on a Saturday night and have made some fantastic friends along the way.Though it’s been a couple of year since I actually wrote anything I still think it important to have a platform to shout from and Twitter has been invaluable in taking me to other blogs or letting the world know about my books or the blog.Just keeping a message down to so few characters is good training. I’m glad you’re enjoying it so much, it can be incredible fun. I love your comments, always so insightful. I am working on the Twitter thing, brevity is not a strength of mine, so I think it will take some time. I do thoroughly enjoy this blogging thing, and am so fascinated by all the people I have met. Hope you have a wonderful day. I am assuming your day is just starting and I am way past ending mine. Very close. I was up at 3.52 am and It’s just 9.15 am as I send this. I don’t get twitter either. It’s even more banal than facebook, if that’s possible. 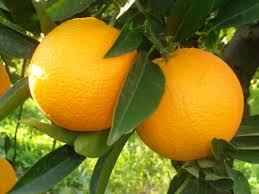 Ha-ha, I know – I wish I had an orange tree. Maybe I will do a gardening post for ‘P’. That’s a good idea. I have a Sequoia – does that make up for the lack of orange trees? Facebook in my opinion is very strange. I had a Facebook account, accidentally hooked up with some Paranormal group in Southern California, and my account became infested with all kinds of crazy stuff from this one women, pictures of herself next to angels and auras, she would post like 15 times a day. My Facebook account really became her account. And why I do need to know someone is off to the grocery store is beyond me “I’m going to the store now.” 2 hours later “I am back from the store now, look what I bought.” Why do we need to know that? Ah, yes the classic is usually I’m going to Starbucks for a latte, followed mins/hours later by, I had my latte in Starbucks. Gee, you don’t say. There’s a surprise. I can see the logic (sort of) for sharing pix with family and friends but there are other ways to do that. The only reason I rejoined was for a book review organisation I’m with. It’s a private group. And I can proudly say I don’t have a single friend or any activity. I just flip on, see if any new books have come up and decide whether to review one or not. Blogging suits me far better. Plus, you can make far better use of photos. I don’t know how to fix that icon thing. It is quite puzzling. I really need to work on that. Others have said the same thing. It’s kind of cool to think about all the people around the world that blog. I usually sit out on the patio and drink coffee, with my puppies of course, but then I wonder where all these other people do their blogging. All the people from England and Australia blogging – in their sunrooms, on the beach, in their really cool, quaint houses. I wonder if it is raining where they are, and I see photos of snow from the Northeast, and I wonder how cold is it where they are, and do they have to get up from their computers to go shovel snow. And my blogging friend that lives in Gibraltar, how cool is that. And the people that live in Wales, in the beautiful villages (no McMansions there). It just makes me think of all kinds of things, gets me out of my little suburbia rut. You have a wonderful day too!!!!! I find that fascinating as well being a traveller at heart. Have a great day too. As a fellow but very new blogger, I wanted to ask you a question in regards to the protocol for using pictures found on the web in my blog. Can I just cut and paste the image into one of my posts, or do I need to laboriously embed the image location? Or is simply citing the webpage it came from enough. Just wondering if you’d consider pictures from movies and TV shows to be treated the same way you would a quote from someone else. I’d never post another person’s words without giving them due credit, but in this case, I don’t think whoever owns the rights to the movie would mind a little free advertising. I’ve just finished updating my post reviewing the movie Hercules, and have oh so carefully embedded all the pictures. Therefore, if you click on any of the pictures, you can see the exact web address where it came from. All my other posts have been the ‘copy and paste’ method, but I’ve recently become aware that I might be doing something wrong. Here’s a link to said post. Please let me know your thoughts on the subject. Thanks! I only use things from Wikipedia and places like that, I credit them down at the bottom. I don’t know about movies and photos from movies. I am pretty new to all of this too! I follow some other movie reviewers. Here are their blog sites – maybe we could ask them. I looked at your Hercules review, all the credit seems to be in the right place. I love your reviews, so well-written. And you used the word ‘pithy’ – no one uses that word. I love that word!!!! PS: I just realized I didn’t put the credits for the photos I used on my last post. Ooops – thanks for reminding me. I will ask David at the Moment In.com and se what he says. Be back when I get an answer. Thanks so much for the compliment. I too love a well chosen word and ‘pithy’ is an awfully good one. No worries. These days. with Google and Bing, it’s easy to find pics and just grab them. All (well, most) of my pics are actual screen shots that I take of the film. If I embed a YouTube clip, I try very hard to credit the source, but I sometimes let it slide. We are becoming a fast share society. Many bloggers (myself included) if I grab a screen shot form a film online or an image off of Google that belongs to a studio, I try to credit the studio. Most people tend to treat images and screen grabs as public domain these days because they share so quickly it is hard to trace to the original, My best advice is to just credit the studio behind the film. She won’t get into any trouble with images, as they aren’t the issued with copyrights. It is media, so if she were to post a video clip of a film that she grabbed from a movie, then she would be in violation. Same goes for songs. YouTube, Vimeo and other hosting sites have strict limitations and copyright tracking programs that can detect when a violation occurs and will message the user, often blocking it. If she sticks to images, she should be fine, but it’s good to credit the studios if she is taking them from a search engine. hope that helps. I tend to ramble. I checked out her site as well. I gave it a follow! Have a nice day. Lovely. I never use pictures that appear to be someone’s specific work, like fan art or images that have been altered in some way. Just publicity shots and stills from the show or movie. I’ll go through my previous posts and give credit to either a TV network or a production studio for all the photos. Thanks so much for going to such trouble to find an answer for me. I really appreciate it.